A masterplanning exercise showing the potential to significantly improve the various offers on this site: hotel, residential, hospitality, retail and leisure. 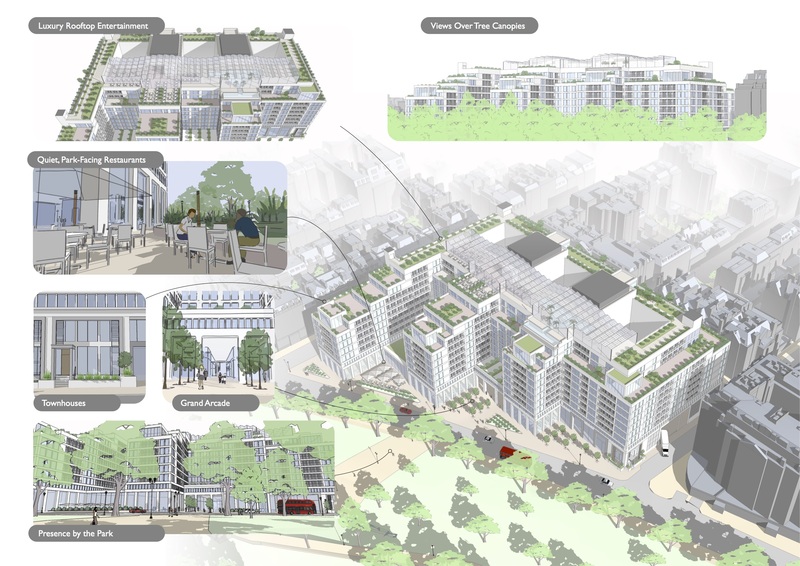 Chassay Studio was commissioned to explore the potential for redeveloping a major London hotel. 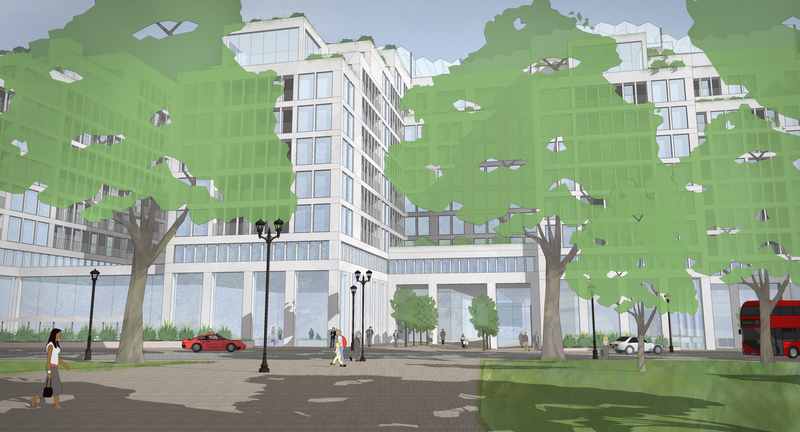 The proposal shows a significant increase in what this site might accommodate. 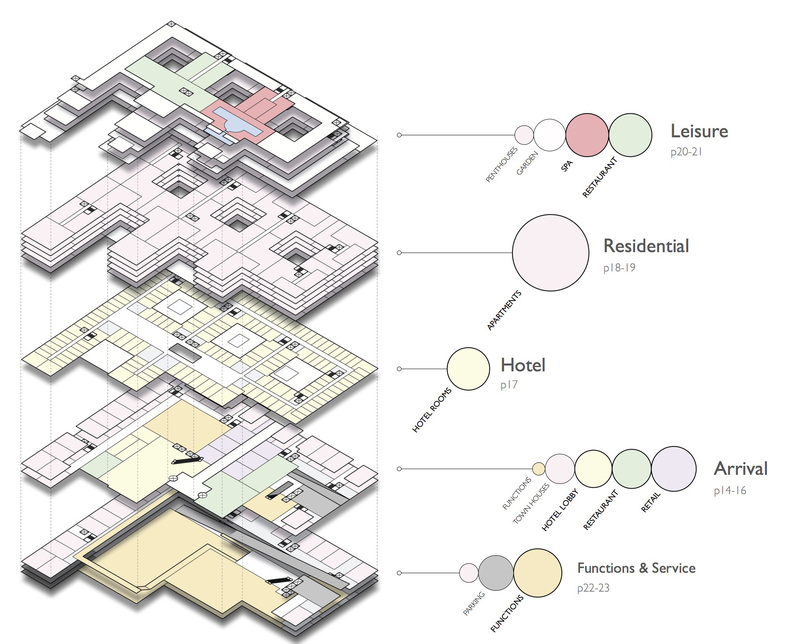 The exercise illustrates the opportunity for creating a planned layout optimising the inter relationship of the different functions of this site. 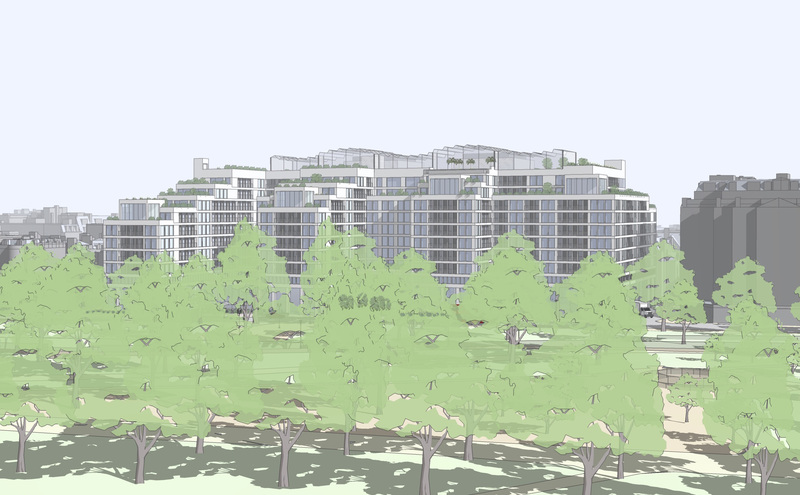 The proposal includes 246 homes, 185 hotel rooms, foyers, restaurants and cafes, 700 sq.m retail space, a rooftop bar and swimming pool, large scale conference facilities and 230 on-site car parking spaces.